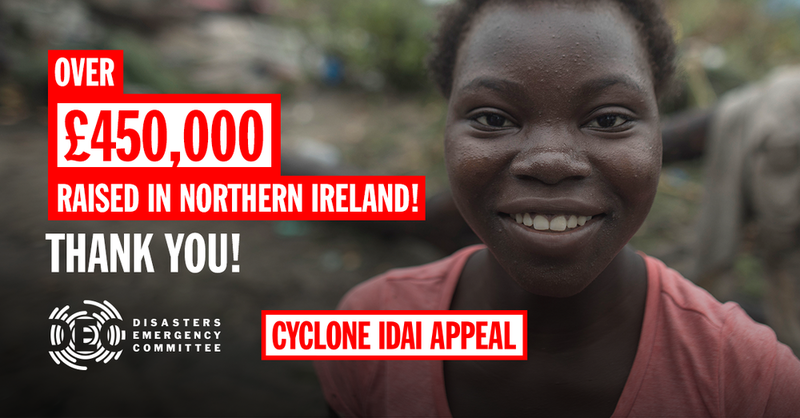 The public in Northern Ireland have raised over £450,000 for the Disasters Emergency Committee (DEC) appeal to help people affected by Cyclone Idai since launching on Thursday 21 March. Cyclone Idai swept through Mozambique, Malawi and Zimbabwe more than a week ago, leaving behind a trail of destruction, and killing more than 700 people. The area affected is approximately 3,000 square km, over three times the size of the Belfast Metropolitan area. A total of over £23 million has been raised across the UK, including £4 million from the UK Government through UK Aid Match.